It’s either hunt or be hunted. And for Francis Underwood, there’s no going back. Season three of House of Cards will premiere on Netflix on February 27, and the stakes for Underwood are higher than ever. Original graphic by Madison Moran. The show centers on Francis “Frank” Underwood who plots his revenge against the President and his cabinet after he is passed over for the position of Secretary of State, having been ensured it was his. Overlooking as the Democratic Majority Whip, Underwood displays his ruthless tendencies to ensure power for himself, and his wife, Claire, as he embarks upon political mischievousness. Kevin Spacey (American Beauty, The Usual Suspects) and Robin Wright (The Girl with the Dragon Tattoo) play Frank and Claire Underwood respectively, and are joined by Kate Mara (Transcendence, American Horror Story), who plays Zoe Barnes, a journalist who gets caught within Frank’s web of lies. Corey Stoll (Midnight in Paris) plays Peter Russo, whom is a struggling U.S. Representative that tries to defy his inner demons, and Michael Kelly plays Doug Stamper, Frank’s quiet, but intimidating, right-hand man. 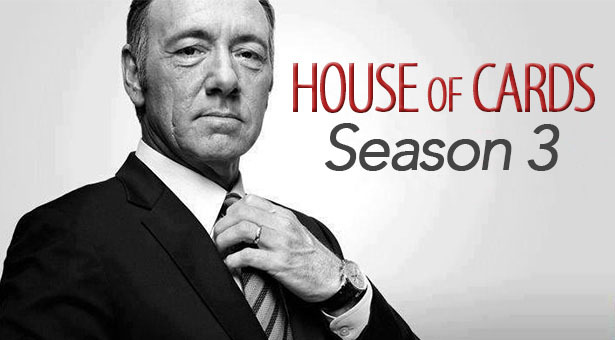 Season one of HOC was met with great acclaim, as the storyline and acting were both highly praised. We see Frank in total defeat as he sent back to Congress as the Majority Whip, but he doesn’t dwell in his misery for long. In an attempt to manipulate his political enemies, he starts a sexual relationship with Zoe Barnes as he feeds her negative information regarding certain politicians, which only furthers his hunger for power as those around him perish. Within the first season, we get a glimpse at Frank’s ability to tell lie after lie, and his true pragmatism; in other words, Frank is willing to make the most difficult decisions, whether good or bad, for the more beneficial outcome. In terms of being realistic, you couldn’t outmaneuver Frank, even if you tried. After season one, we encounter a darker side of politics, and a darker side of Frank Underwood. As he starts to gain momentum while rising up the political ladder, his web of lies starts to come out into the open, making his colleagues question his true intentions. The audience also gets a glimpse of Frank and Claire’s past individually, which makes room for some sympathy here and there. However, as the story progresses, Frank’s flirtation as a protagonist quickly ends as he evolves into an anti-hero; at this point, Frank shows no mercy to those who defy him on a political and personal level, and that is what makes him so likable. With his confident overtone, and his occasional breaking of the 4th wall, Frank’s charisma tugs on the heartstrings of those that watch his story unfold, and it’s hard not to root for a person who is so calm over an interior of remorselessness. Season three’s trailer presents a whole new reality for the Underwood’s and the suspense seems to be even more than that of season one and two combined. At this point, season three is poised to be the best yet as Frank resumes his duty as being a relentless and unstoppable force. SPOILER ALERT: As the new President of the United States, Frank’s mission is accomplished, but what makes season three so interesting is how he handles himself as the POTUS. As he’s moved up the ladder, one could see minor adjustments within his character here and there, but also got a glimpse of a brooding and dark man who seeks only power for himself. Now dealing with the hardest job in the world, many are ready to see how the man himself takes on even more serious roles that could jeopardize him at any point. Although many, I’m sure, are hoping he never comes to such a point. Next articleGC Speaks: If Hollywood Made a Movie About Your Life. . .